In order to get your speed bag set up at home, you’re going to need one vital piece of equipment – the swivel. (If you haven't got a speed bag yet, check out our list of the best speeds bags for a full break down). 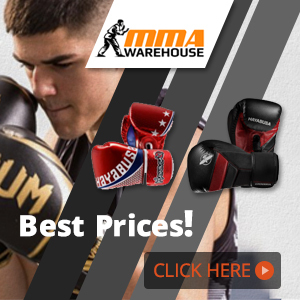 But, how do you know what’s the best speed bag swivel? With the amount of choice out there in can be pretty hard. Fortunately, we’ve compiled this list of the top speed bags swivels currently available, hopefully providing you with all the information you need. 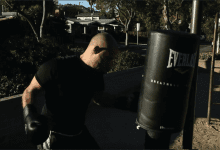 What is a Speed Bag Swivel? 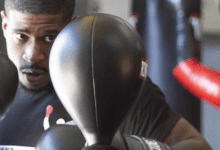 What Are the Different Types of Speed Bag Swivels? A speed bag swivel is a vital part of a speed bag set up and is what allows the bag itself to swing back and forth once struck. Similarly, the speed bag swivel is responsible for securely fastening the bag to the rest of the speed bag platform. 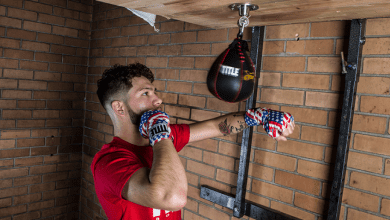 If you don’t have a speed bag platform yet, then I recommend you check out our article on the best speed bag platforms where we list some of the top options. When it comes to looking for the best speed bag swivel, you’ll come across 3 different types. All may look different, but essentially serve the same purpose. None of the following are deemed ‘better’ than each other, as it really comes down to personal preference. This in itself is a highly discussed topic amongst speed bag enthusiasts that can be seen in the various forums across the web. 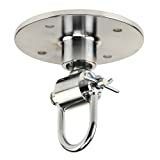 The ball-hook swivel is a tried and tested swivel that’s been around for decades and is a popular choice amongst many boxing gym owners, which could be down to a number of reasons. Firstly, this is the simplest type of swivel, which allows for the speed bag to easily be taken off and put back on again. Secondly, because there aren’t many parts to the swivel, it often provides the smoothest and most accurate rebounds. The only downside to the ball-hook is that it tends to be the loudest, which for some is a fairly big down side. It used to be that the ball-hook swivels were made primarily out of metal, however as the years have gone on, that’s pretty much come to an end. Chain-link swivels are fantastic if you’re looking for a fairly quiet swivel for your speed bag. Due to their quiet design, these are often seen in both gym and health clubs not just in the US but around the world. They do however have one pretty big downside, in that they can be pretty fiddly. Trying to change speed bags can be pretty difficult and can sometimes even require a decent set of pliers in order to get the locking pin out. Due to the design of the chain-link swivel, it can start to get a bit squeaky after a bit of use. Although annoying, this can easily be resolved by applying some WD-40 or something similar. 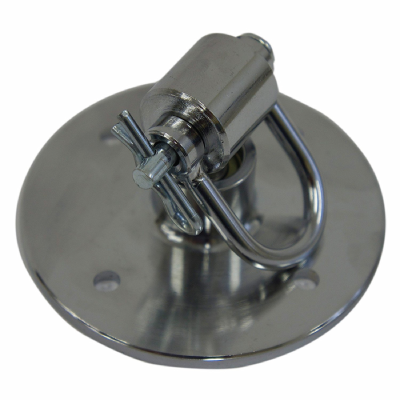 Lastly we have the U-bolt swivel, sometimes referred to as the speed, precision swivel, or a D-bolt swivel. 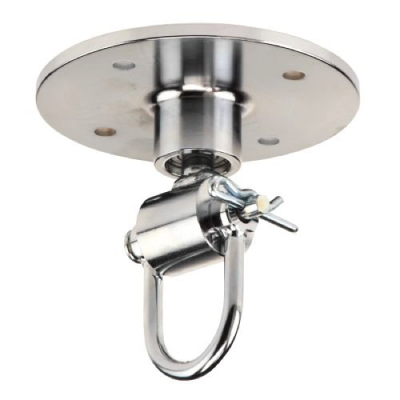 Which ever name you call it, the U-bolt swivel could well be the most popular choice out there. Most of these swivels will utilise a ball bearing design that allows for an incredibly fast and accurate rebound. They also tend to possess a locking pin that’s very easy to take out, meaning that you can swap speed bags in a matter of seconds. One down side to this design is that the speed bag can sometimes slide along the the U-Bolt, which in turn can cause some odd rebounds. Check out the image below to see a visual representation of what I’m talking about. This can easily be fixed with some duck tape that’s place around the top of the bag which should prevent it from sliding along the bolt. If you want anymore information on the different types of swivels, I recommend you check out this awesome guide by Speed Bag Central. 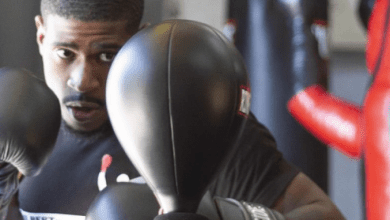 When it comes to determining the best speed bag swivels, there are a number of different aspects that you should pay attention to. The materials used to construct the speed bag swivel will have a direct effect on its durability. Of course, when investing in a swivel, it’s lifetime is going to be a massive factor, therefore aim to buy swivels made out of the best materials possible. Most high end swivels will be manufactured using stainless steel or something similar. On the flip side, cheaper, lower end swivels will be made from lower quality materials, such as plastic. Although at first plastic may seem to work just as well, it does tend to wear down quicker. 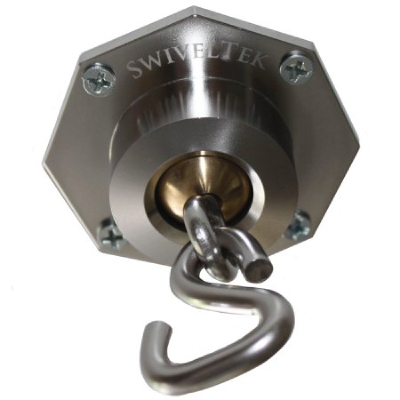 The price you pay for your swivel will correlate with it’s overall quality. Fortunately, even the best speed bag swivels don’t cost that much, so you may as well invest that little bit extra for a longer lasting, more durable swivel. This of course is something that’s pretty much impossible to tell without actually getting your hands on one. The motion that a swivel provides is incredibly important, as awkward rebounds can completely ruin your rhythm and cause you to miss hit. A good way to get an idea of the sort of motion that a swivel provides is to check out each models reviews. 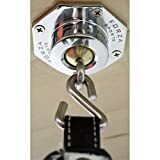 For example, if you’re buying a swivel from Amazon, take a look at previous customer reviews and see what they’re saying about it. Similarly, try and find a video on YouTube of the swivel, or you could even browse the various speed/ punching bag forums out there. 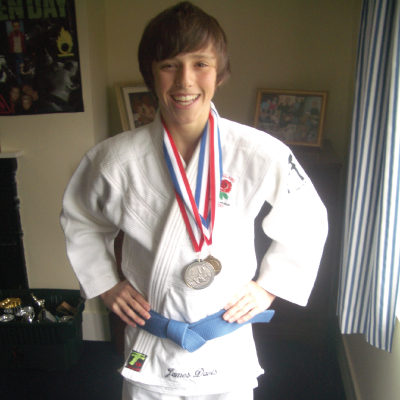 Well known brands such as Title and Everlast, are most likely going to offer the best quality products. Going for a cheaper, lesser known brand is a bit of a risk as you’ll never be sure of the quality you’re going to get. Ok, now time to take a look at some of the top speed bag swivels currently available. 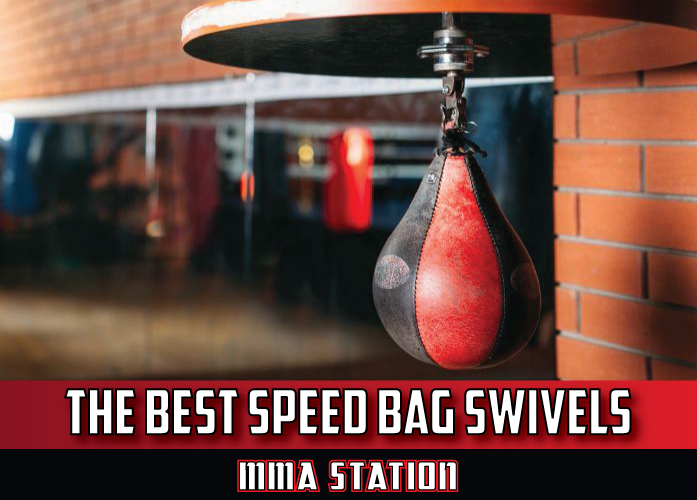 Taking the number one top on our list of the best speed bag swivels is the TITLE deluxe professional speed bag swivel. One of the key issues with U-hook design that I mentioned earlier is that the speed bag can sometimes slide along the hook. Fortunately, the TITLE Deluxe swivel has a decently thick hook that allows for the speed bag to fit tightly, preventing any sliding. This in turn provides you with good motion and accurate rebounds that allow you to easily fall into a rhythm. What I love about the Deluxe Swivel is it’s innovative locking pin that’s incredible easy to remove. The push-pin style allows you to easily remove the speed bag in a matter of seconds, which just isn’t possible on many swivels out there. This is great if you’re wanting to re-inflate your bag or you like to change up your speed bags throughout your workout. In terms of build quality, the TITLE Deluxe swivel really is the best of the best. It’s manufactured using triple chrome plated heavy-duty material that provides durability rarely seen in speed bag swivels. The sealed ball-bearings provide an incredibly fast and accurate rebound. Not only does the TITLE Deluxe Swivel provide a professional standard training experience, it’s also one of the quietest U-hook swivels I’ve ever used. Basically, TITLE have absolutely smashed it by releasing by far one of the best speed bag swivels on the market. AND IT DOESN’T BREAK THE BANK EITHER! If you’ve got an Everlast speed bag platform, you probably got their basic swivel alongside it. 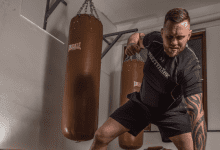 Basically, the professional Everlast Speed Bag Swivel is a massive step up from their standard model and is easily one of the top speed bag swivels around. Unlike the Standard version, the Everlast Professional model is manufactured using machine crafted stainless steel that creates an incredibly durable and long lasting swivel. Similarly, to the TITLE model we just discussed, the Everlast Professional Swivel features sealed ball bearing that provides the speed bag with a super-fast and accurate rebound. That being said, the U-hook of the Everlast is a bit smaller than the TITLE, which means that the speed bag can sometimes slide along. As with most speed bag swivels, the Everlast comes alongside all the screws, washers and hex nuts required to mount the swivel to the drum of your platform. The swivel itself is actually super easy to install and only takes around 5-10 minutes if you know what you’re doing. Despite being one of the best speed bag swivels available, the Everlast Professional is available for an incredibly affordable price and is potentially the best value for money speed bag swivel on our list. I’m not going to lie; chain-link swivels are simply not my favourite. They require slightly more maintenance than other types of swivels and tend to be a bit trickier in pretty much every way. 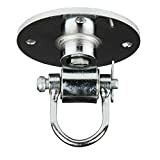 Having said that, the TITLE Pro Swivel is pretty damn good for a chain-link swivel and is by far one of the most affordable items on our list. In terms of built quality the TITLE Pro swivel is actually really good, being triple chrome plated alongside some of the latest ball bearing equipment. This allows the speed bag to be struck from any direction and to rebound smoothly and accurately, without any random changes in direction. One of the main downsides to this swivel is that it can be pretty tricky getting the speed bag on and off. With that in mind, if you go with the TITLE Pro swivel, make sure you’re happy with the speed bag you’re going to be using with it. Nice little bit of kit this, especially considering the money. 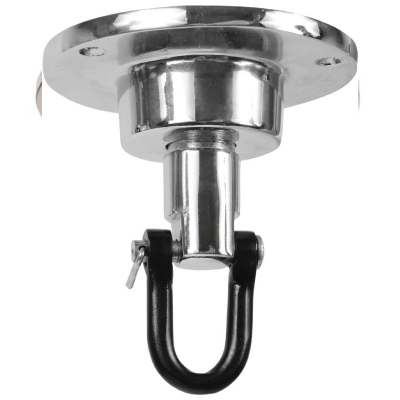 The MAXMMA speed bag swivel is a U-Bolt type swivel and despite being made by a lesser known manufacturer, is extremely high quality. 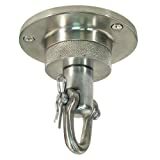 Being made out of high grade stainless steel ensures the durability and longevity of the swivel, which of course is a massive factor in any buying decision. As with a lot of the U-bolt type swivels on our list, the MAXMMA features a push pin style design that allows you to quickly and easily interchange speed bags. The thickness of the U-bolt swivel is just right, meaning that the speed bag should stay fairly well in place without sliding along the bolt. As I’ve mentioned before, if this does start to happen, tightly wrap some duct tape around the top of the bag strap, which should help to fasten it in place. You also get the 4 screws required to mount the MaxMMA swivel to your speed bag platform. All in all, a great little design by MaxMMA and easily one of the best speed bags swivels around. Maybe I’m just biased as I love U-bolt swivels, but this thing is awesome. This is yet another U-bolt design to grace our list of the top speed bag swivels. This time manufactured by Ringside, and to be honest, it’s probably one of my least favourites on here. Firstly, the bolt itself is annoyingly thin for some reason, so you’ll probably have to utilise a bit of duct tape to get your bag decently fastened onto the swivel. Despite being made of awesome stainless steal material, the rebound it provides the speed bag feels slightly slow and sluggish. I actually don’t really know why this is, but I’ve read it in a few places and in a number of reviews on Amazon. Although the speed of the rebound isn’t the fastest ever, thanks to it’s 1” centre cylinder design, striking the bag feels quite nice and the rebound is decently smooth and accurate. One decent aspect to the Ringside Mexican-style swivel is it’s pinch-pin attachment system. As I’ve mentioned with previous swivels, this allows you to easily interchange speed bags. Overall, not the best item on our list, but definitely still usable. 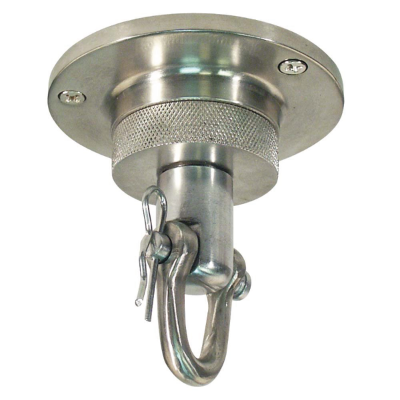 Made of durable stainless-steel-- this swivel will match the speed of anything you throw at it. Unique 1"-- center cylinder design provides a smooth rebound. 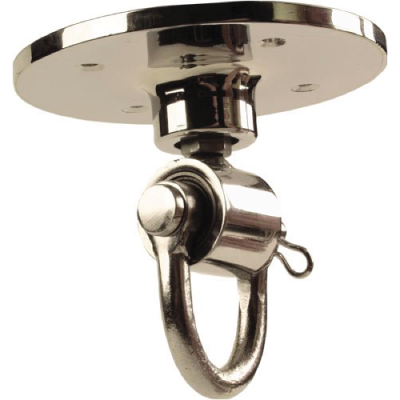 It would have been rude to not include an S-hook swivel on our list, so here we go. 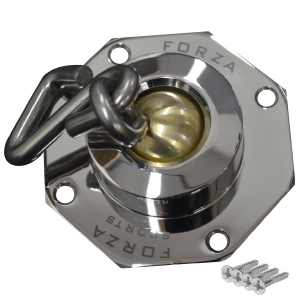 The S-hook design of the Forza Swivel allows for speed bags to be put on and taken off with ease. 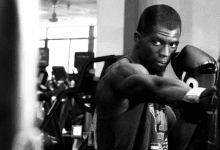 This is great if you like to change up your speed bag, as it requires minimal amounts of fiddling. The ball-bearing allows for the swivel to turn in all directions. This allows you to work the speed bag from multiple angles without it rebounding awkwardly and ruining your rhythm. Unlike a lot of other swivels that use the same design, the Forza model features a brass metal ball bearing. This allows the swivel to last much longer and stay smoother than some of the plastic swivels out there. Plus, if you feel as though the swivel is moving weirdly, you can whack some WD-40 on there which should loosen it up. The only downside to this swivel is the noise. Due to the S-shaped design of the hook, it can sometimes hit the speed bag platform, which can be pretty loud. All in all, a great little swivel for a pretty awesome price. Plus, the screws are included, so no trip down to the hardware store for you! Moving onto the ​7th and final model on our list of the best speed bag swivels – the TITLE Boxing Platinum Pro Swivel. You may notice that this looks incredibly similar to the TITLE Deluxe model that we discussed earlier and you’re right. Both feature U-bolt designs alongside a very similar sealed precision ball-bearing. Again, the Platinum possesses the same triple chrome plating as the Deluxe version as well as a pinch pin design. Upon closer inspection, you’ll actually notice a few differences that could well have a pretty profound effect on the way the two swivels perform. Firstly, the Platinum Pro swivel features a fairly low hanging U-bolt, which unfortunately, tends to mean slower rebounds. Another pretty big difference that is more an annoyance than anything else is it’s use of 3 mounting holes, as opposed to the 4 holes that most swivels utilise. This means you may have to drill more holes into the drum of your platform in order to accommodate the TITLE’s the mounting design. On the flip side, this is actually one of the cheaper models on our list, yet is one of the most durable swivels on the market. For any more information on speed bag swivels, check out this awesome video by PaulOrientedotcom on YouTube. Q) How do I Mount the Swivel to a Platform? A) Your speed bag swivel will often come with a set of screws that are used to mount it to the platform. If not, head down to a hardware store (with your swivel) and get some screws that match the holes. You then screw the swivel into the centre of your platform using a drill. I would recommend drawing onto your platform where you want the swivel to be. This way you can be 100% happy with its' location before attaching the swivel. Q) How Long do Speed Bag Swivels Last? A) It really depends on the quality of your swivel. 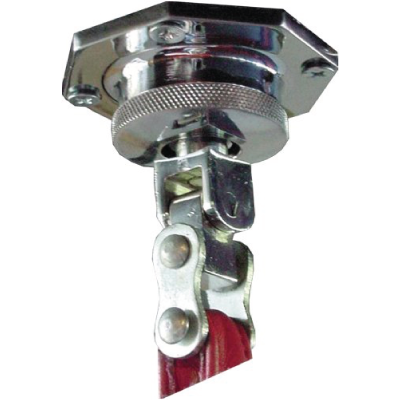 Metal swivels tend to last longer than plastic. This is due to the fact that they don't wear down as easily and can easily be oiled with WD-40. Q) Shall I Buy More Than One Swivel? A) Only if you have more than one speed bag platform. It's a pretty annoying job taking the swivel off and can end up ruining the platform if you don't do it correctly. Thanks for taking the time to read out list of the best speed bags swivels. I hope that you’ve found it useful and if you've got some questions, feel free to ask them in the comment section below. 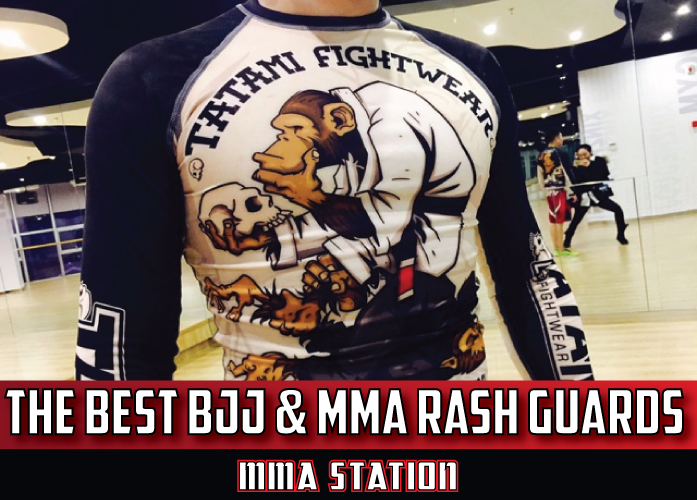 Product images courtesy of Amazon.com, featured image by Fitness Fighters, adapted by MMA Station.